Making the World Polite One Person at a Time! Great things happen at dinner! Which fork should I use? When is it appropriate for me to start eating? What if I don’t like what I am served? How do I excuse myself from the table? 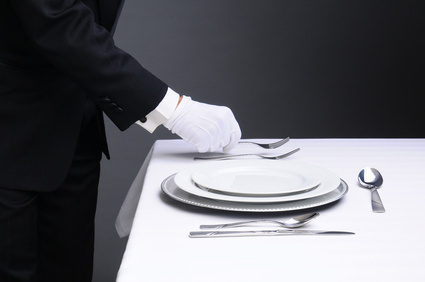 If you, like most people, have ever felt self-conscious at a formal dinner, you will benefit greatly from our dining courses. You will gain the knowledge and confidence needed to enjoy your meal while remaining comfortable, authentic and engaged. Stop worrying about which fork you should use and start connecting with the people around you! In this course, you will learn the art of eating and negotiating the dining table while still accomplishing the business at hand. If your business requires international travel or dining, this course is right for you. You will discover different dining styles and how to partake in meals without offending your hosts. Yes, there is a rule for THAT!#@! It may be your birthday…or not!